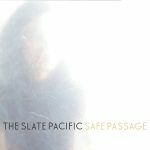 Still a young band, Slate Pacific released their ECMA nominated debut, Safe Passage (Forward Music) in 2009. Here Weekly called the effort a "gorgeous five-song EP," while renowned music blog I (heart) Music claimed that frontman Logan Hawkes, "writes tremendously affecting lyrics." Bridging layered guitars and synth with pared-down melodies, the EP's songs saw the band exploring the push and pull between space and saturation. Since the album's release, the group has toured throughout Eastern and Central Canada, fine-tuning their live set, and cultivating a more focused sound. 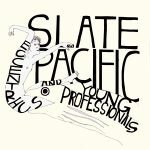 The release of their 10" vinyl EP, Eccentrics and Young Professionals, is the conclusion of a creative arc. 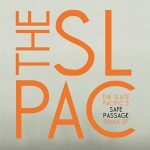 While it embellishes on Safe Passage's stark melancholy and organic sound, it forgoes its folky tangents. "Artist Syndrome" is a glacial epic. Its drifting melody and stark dynamics both contrast and compliment the shouting build of the EP's lead-off track, "Eccentrics." The stylistic range of the two songs is a promising foresight into the scope and depth of the band's forthcoming debut LP.